I’d quip that there’s a possibility of losing Tim Howard in the background next term but the fact that he tends to spend the entire 90 minutes screaming obscenities till he’s blue in the face will probably put paid to that. As a Liverpool fan it’s always fun to have a dig at Everton, but this is too easy. hgo, anybody over 13 who isn’t standing in a big green box and still wears a goalkeepers kit needs their head examining. you could not wear this out. I thought the trend was to go for big bright colours as they make you appear larger? is this not what chelsea have been doing with cech? 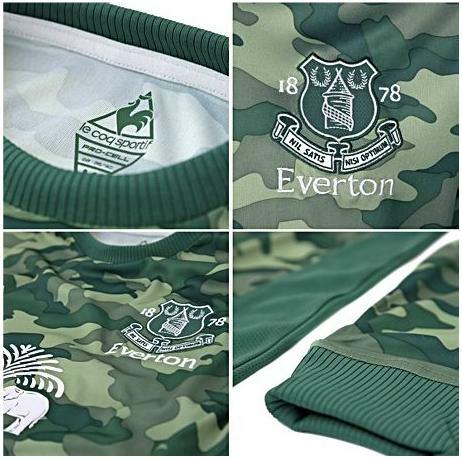 camo goes the complete opposite direction. 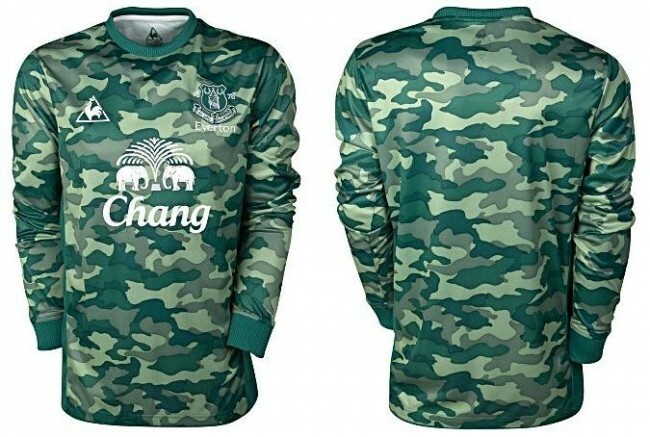 The aim must be to let the keeper blend in with the deadwood defenders at the back…clever!! Still not as bad as England’s new goalkeeper shirt. camo should not be worn on the street at all… by anyone!